Unique Stylish Purses | Miche Bags: Miche Purse Sale! 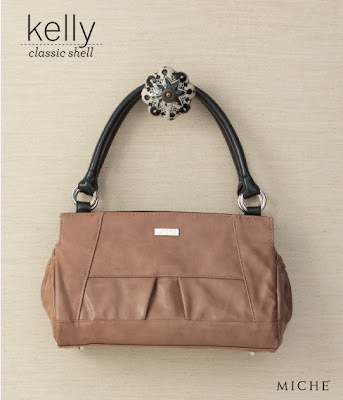 Kelly Classic Shell Beautiful Amaretto Brown Color. Miche Purse Sale! Kelly Classic Shell Beautiful Amaretto Brown Color. Kelly is Sold Out and now Retired! Graceful. Subtle. Demure. Lovely. Amaretto faux leather with perfectly-placed pleat details make the Miche's Kelly Classic Shell the ideal choice for when you're feeling extra soft and extra feminine. Its delicate color works in any season and with virtually any outfit. Pocketed style allows for extra storage on the ends!